Grant aid from Renaissance SW and the MLA enabled us to create a number of loans boxes for schools, available for up to half a term. 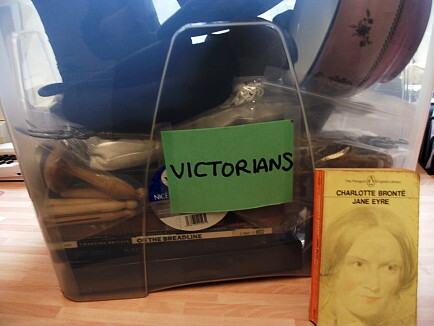 Handling real objects is so important as it really can bring history to life! Subjects include Nursery Rhymes (for playgroups and early learning), Roman, Victorian, First and Second World Wars, Railways and Citizenship, Peace and Remembrance. 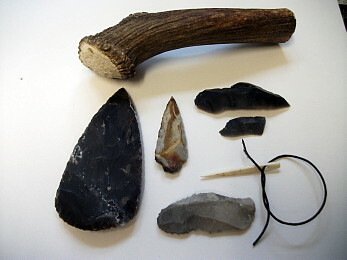 We respond to changes in the National Curriculum and we now have available a range of facsimile prehistoric tools and artefacts from the Paleolithic to the Iron Age in an exciting new Prehistory Loans Box (see contents as PDF file). 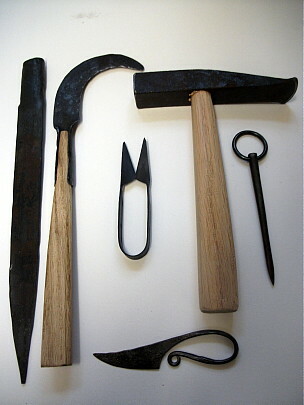 This will enable children to understand the development of tools over time and changes in materials. It will also include lesson plans for teachers introducing archaeology and the evolution of Stonehenge in its sacred landscape context. inspired by these Mesolithic and Iron Age tools.